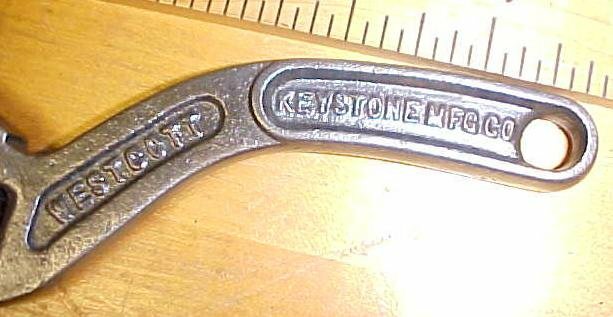 This is a nice clean old 6" long S-Handled adjustable wrench marked "THE KEYSTONE MFG. CO. WESTCOTT 6 INCH NO. 76 BUFFALO N.Y. U.S.A.". Overall in good condition no rust or cracks, a few tiny nicks and dings, some minor wear on the jaw edges mostly. 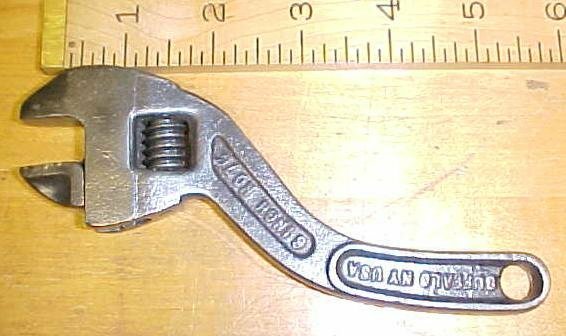 A good working collectible curved handle wrench! Works good! 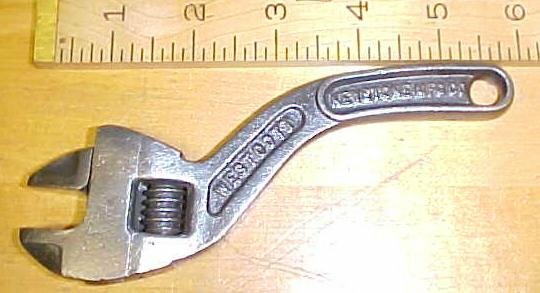 Items Similar To "Keystone Westcott 6 inch S-Handle Adjustable Wrench"